Boxing Week Blowout! Starts early. 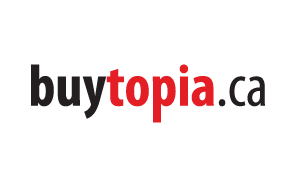 Save up to 60% off your purchase at Buytopia Canada. Offer valid till December 24th 2015. Pre-Boxing sale starts now. Save an extra 15% offer on orders over $75 with promo code PBW15 and 10% offer on everything else with promo code PBW10. Offer valid for a limited time only. Enjoy ! When you log on to butopia.ca and use the promo code BOXINGDAY between 12:01am and 11:59pm December 26th, you will receive an additional 10% off on daily deals that are already up to 90% off the regular ticket price! Be sure to find some time on Boxing Day to visit this site. Avoid the malls, avoid the lines, and shop online at your own convenience this holiday.